This issue's guitar tabs, interviews, gear reviews and more! 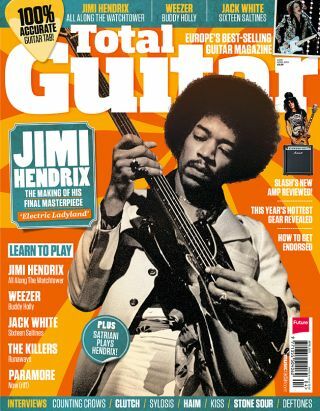 Total Guitar issue 239 is on sale in print and digitally worldwide now, here's what's inside! We go behind the glass with engineer Eddie Kramer to explore Jimi's final studio masterpiece. Plus, 'All Along The Watchtower tabbed in full!